The Pentagon continues to ship billions of dollars of weapons to Syria, according to a damning report by two monitoring groups that also reveals the US is falsifying documents to cover its tracks. The Organized Crime and Corruption Reporting Project (OCCRP) and the Balkan Investigative Reporting Network (BIRN) uncovered evidence revealing the Pentagon is not only shipping as much as $2 billion in weapons to Syria through shady means, it is also purposely covering up the paper trail. 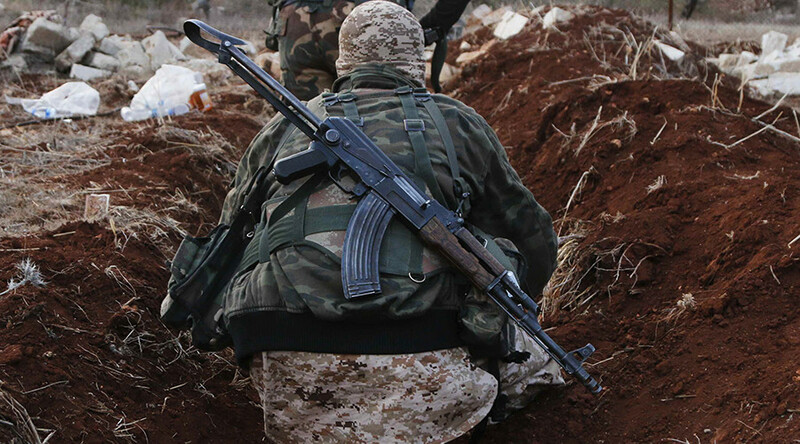 The secret program began after the Pentagon’s $500 million plan to train Syrian rebels ended in failure in October 2015, with only a handful successfully trained. The Pentagon then started a new programme of arming the rebels, BIRN and OCCRP outlined in their investigation published on Balkan Insight on Tuesday. The investigation is built on evidence from thousands of documents including procurement records, ship-tracking data, official reports and leaked emails, as well as interviews. The reporters cite a February 2016 Pentagon budget document requesting $210,800,000 for weapons, ammunition and equipment for Vetted Syrian Opposition which outlines the need to supply the opposition with Former Soviet Bloc (FSB) weapons and ammunition because such groups already use them. It also points to an October 2015 Department of Defense press briefing detailing 50 tons of ammunition being delivered to a “friendly Syrian-Arab coalition” in Syria. Reporters have identified over $700 million in weapons likely delivered to Syrian rebels between September 2015 to May 2017. The Department of Defense has budgeted $584 million for the Syrian arms operation for 2017 and 2018; a further $900 million will be spent on munitions between now and 2022. The investigators report the $2.2 billion figure is likely an understatement. The weapons supply network stems from the Balkans, eastern Europe and the Caucasus and includes arms dealers, cargo and shipping companies and German military bases. Before the new programme began, its spending on Eastern Bloc weaponry was “negligible,” the groups report. US Special Operations Command runs one weapons purchase channel, which the Pentagon confirmed in a statement to investigators. According to the Pentagon, it carefully vets the recipients of the weapons. The other shipping channel is operated by Picatinny Arsenal, a weapons manufacturing and research facility in New Jersey, which is also home to the US Army Armament Research, Development and Engineering Center. United States Special Operations Command purchased $240 million in weaponry from Bulgaria, Bosnia and Herzegovina, Serbia, Poland, Romania, the Czech Republic and Kazakhstan up to May 2017, reporters found. SOCOM also chartered four cargo ships to transport 6,300 tons of munitions from Black Sea ports to Turkey and Jordan, which reporters confirmed through procurement documents, packing lists and ship data. In February, it made a $90 million shopping list for Syria. Seen by reporters, it includes 10,000 AK-47s, 6,000 rocket launchers and 6,000 other machine guns, Balkan Insights reports. Balkan Insights also reports that Picatinny has bought $480 million of arms and ammunition since the switch in strategy, and has $950 million slated to be spent on more Soviet-era ammunition by 2022, reporters say. Some of the weapons suppliers have been identified as having links to organized crime, the investigation reports. Such is the demand for Soviet-designed weapons that the manufacturers have had to increase production, with one Bulgarian ammunition factory announcing the hire of an additional 1,000 workers in 2016. It has also caused the Pentagon to drop its standards for equipment. Older equipment carries more risk of accidents and the rule used to be less than five years old, but in February it made an exception for some equipment, the report details. The investigation reveals the Pentagon is fraudulently manipulating documents to cover up its actions. It found seven contracts worth $71 million signed in September 2016 which referenced Syria, or the DoD’s internal code for the country, V7. However, as soon as reporters asked back in March about the deliveries, the files were deleted. The Pentagon declined to comment on this. Luckily, the reporters had already made copies. The original procurement documents’ description of requirement section said, “Acquisition of non-standard ammunition for Syria and Iraq.” A later version of the document no longer had “for Syria and Iraq” written on it. A further $408 million of equipment bought since the strategy switch has no destination on its forms. End-user certificates are used to secure arms exports licenses and of course to detail who will be the end user of the weapons in question. Documents seen by reporters list SOCOM and US bases as the final user, even though US doesn't use such weaponry. Both BIRN and OCCRP receive funding and support from George Soros’ Open Society Foundation, the National Endowment for Democracy, and the US State Department. BIRN also counts the European Commission, the UK Foreign Office, and several European governments as its donors and partners.